I went to La Menagere on two separate occasions, firstly for an aperitif and snack, secondly for lunch. 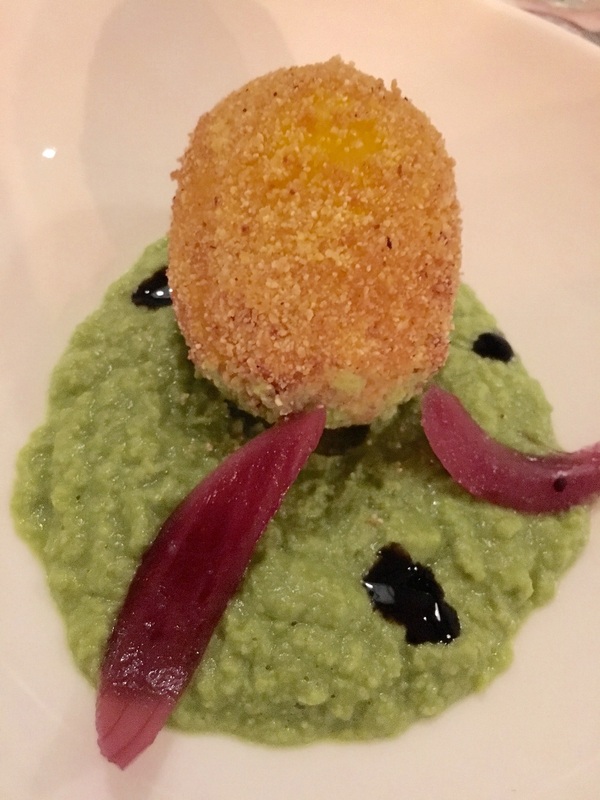 On aperitif night, I tried the "Fried Egg", basically a sous vide egg, coated and deep fried with a pea purée. Fun. Good starter. They also gave me a plate of Ruffles potato chips and fresh veggies, fennel, carrot and celery as a snack. It's just funny to see a plate of Ruffles offered. Sure, I ate them, they're salty and good and pair well with a Negroni. Awesome lunch of gnocchi that were toasted in seasoned cous cous lightly adorned in sheep cheese and then placed on top of a sauce of sheep's cheese and garnished with black pepper, sliced apples and zested lemon. Outstanding. Sorry, no picture, it would have been rude, I was with a guest.